 The Track and Field program at Dade Christian School invites all 6th-12th graders who are interested in the sport and who are willing to work hard to come out and join the team. The coaches believe that participation in our track and field program provides an arena wherethe athlete can be developed, challenged, and encouraged to reach his/her maximum potential. The opportunities that are offered to the athlete through practice and competition contribute in a unique and positive way to the development of that individual. The program is committed to developing these young men and women as strong leaders who will achieve at the highest levels athletically, academically, and spiritually. We have also had a few of our athletes move on to run at the college level, such as for Alabama University. Every track meet will prove to be exciting when the Crusaders are on the track! 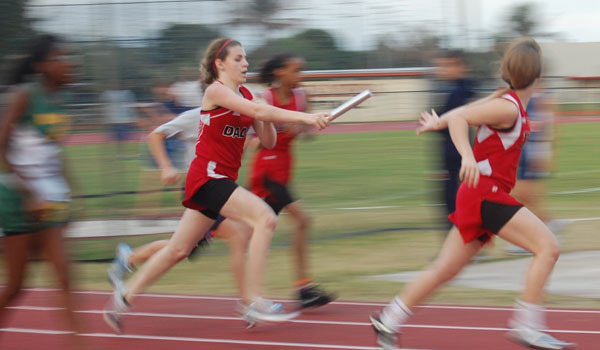 The Junior High Track & Field program ranges from 6th-8th graders. This has always been one of the most popular sports every year at DCS for young athletes. The Junior High program is designed to teach the students the basics of track and field, and help them to begin developing any specific talent they may have whether it be running or a field event. The athletes participate in plenty of track meets and are exposed to inner workings of a meet. This is a great sport at DCS that assists in molding future track stars! The Varsity Track & Field team is open to boys and girls from 7th-12th grade. These athletes train hard and compete even harder. The girls and boys have been at the top of the District and Region for many years, and are hoping to continue down that path. These athletes know that God has blessed them with their talents and they make sure to make the most of their abilities. The team has achieved many victories, but they are working as hard as they can so that they will continue to put on a great performance every time they are on the track. We would like to thank the parents and school community for always making track season enjoyable.